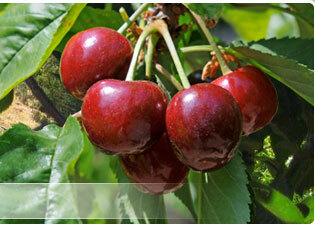 There are over three hundred varieties of cherries available of which we grow about thirty five varieties. Not all cherries can be grown in the one area so we concentrate on proven and tested varieties that are well suited to our climate. Cherries require up to 1100 hours of temperatures between 0 and 7 degrees. 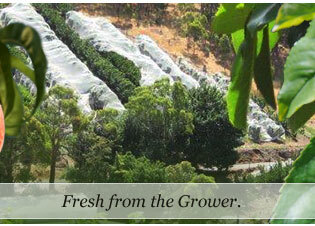 That is why the Adelaide hills are a unique place that is well suited to growing cherries. Pruning happens during the summer months and also during spring, this ensures there is not too much wood in the tree, which makes sure that the fruit on the tree is of a good size. We put a lot of effort into our cherries, using soil and leaf tissue analysis to make sure the trees get all of the nutrients they require to grow big, fat juicy cherries that taste fantastic. We sell cherries via the shed door and also to Interstate and local markets. 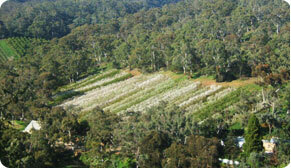 At Montacute Valley we grow three varieties of lemons which produce lemons all year round. Lemons flower twice a year and produce two crops. The majority of lemons are picked during the summer months and also during winter so they can be used the whole year through. Peaches nectarines and apricots are a fruit synonymous with summer. 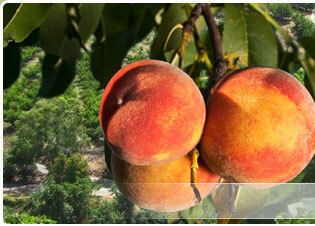 We grow over thirty varieties of peaches and nectarines which are sold to via the shed door and at local markets. Peaches and nectarines require detailed pruning throughout the winter months to ensure the fruit is of the best standard. After the fruit is set in October, we have people to thin the fruit on the tree so that the size of the fruit is large and juicy. This usually takes about eight weeks. Our peaches and nectarines start just before Christmas and run right through until late march/early April depending on the season.